For years, Jim Swoger – a physical engineer – has helped biologists see inside their samples. Now he brings his 20 years of expertise to EMBL’s Barcelona site, where he heads the Mesoscopic Imaging Facility. I’d always liked science but in high school I had an excellent physics teacher. The students would ask a lot of questions and if the teacher didn’t know the answer, he didn’t try to bluff his way through, he’d design an experiment together with us to answer it. Most teachers aren’t like that and it made a difference to me. What will be the focus of the new facility? It’s a facility for mesoscopic imaging, so we focus on intermediate-size samples that are large enough to be observed with the naked eye, but small enough that you need an instrument to observe them properly. Samples between a few cell diameters and a centimetre or so in size. To do so, we use tools like Selective Plane Illumination Microscopy (SPIM) and Optical Projection Tomography (OPT), which allow us to create high-resolution 3D images of samples that are over ten times larger than the samples imaged with other optical microscopy techniques. SPIM is a technology that we developed while I was in Ernst Stelzer’s lab at EMBL’s Heidelberg site. If you confine the light to a very thin sheet you can illuminate just one plane of the sample at a time. If you repeat the process, you can build a full 3D model just by moving the sample. It’s a nice way to get the internal details. 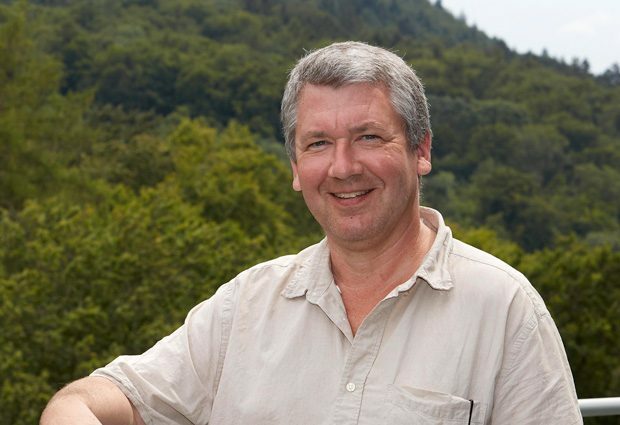 OPT was invented by James Sharpe – current head of EMBL Barcelona – while at the MRC Institute of Genetics & Molecular Medicine in Edinburgh, UK. OPT is like a CT scan but with visible light, so you rotate the sample, take many different views, and then reconstruct it. Mesoscopic imaging involves looking at details of biological systems in the context of an organ, body part, or organism. It’s an approach that recognises that a heart, an arm, or a fish is more than just a set of cells. In any tissue, organ, or body part, cells are packed tightly together or arranged in relation to each other. They respond to each other, and in some cases even move together. Mesoscopic imaging allows scientists to record, track, and study how they do so. Mesoscopic imaging requires specially designed technology, since most microscopes are developed for looking at single cells, or small groups of cells. And technologies like CT scans – developed to look at a body part or even an organism as a whole – don’t provide the necessary detail. To fill this gap, scientists have designed techniques like selective plane illumination microscopy (SPIM) and optical projection tomography (OPT), which combine the ability to capture fine details with the capacity to study relatively large samples for extended periods of time. 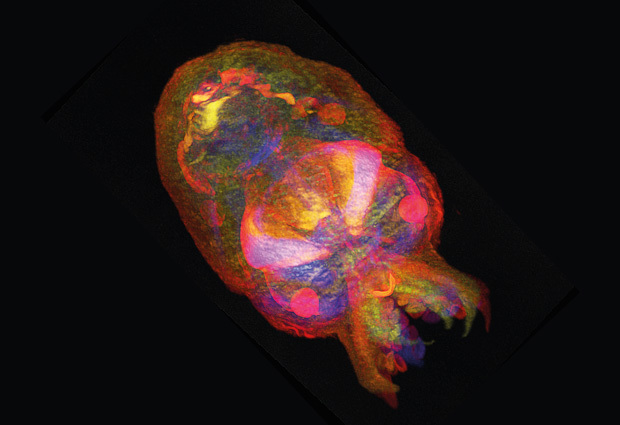 These and other mesoscopic imaging techniques can reveal critical information for scientists studying developmental biology and the pathologies that arise when normal development is disrupted. The fate of a given cell depends not only on its initial state but also on signals it receives from its 3D environment – the organ in which it develops. For example, individual neurons can easily be studied using traditional microscopy techniques, but critical information is lost about how the cells interact with the complex environment of the brain during development. Mesoscopic imaging offers the organ-wide context that will enable researchers to get the whole picture. Who will be your main users? James Sharpe’s lab is the first one up and running at EMBL Barcelona, so they will be using our services for sure. Also the new groups joining EMBL Barcelona like Vikas Trivedi’s group. He wants to look at organoids with a higher throughput than we can currently achieve. It will be interesting to develop that with his group, and techniques for other groups as well. EMBL Barcelona also has collaborations with research labs in Barcelona, many of them located in the same building as us – the Barcelona Biomedical Research Park (PRBB). We also welcome users from the rest of Spain, Europe and beyond. What would you like to achieve at EMBL? The immediate goal is to get the facility running at full capacity with staff and instruments to support the scientists. But I would also like to create a network of imaging facilities or labs that can provide different levels of imaging to study biology and make this available to users. EMBL Barcelona’s collaboration with the Centre for Genomic Regulation (CRG) already provides part of that: we have the Mesoscopic Imaging Facility while they provide confocal and super-resolution microscopy. But I would like to expand this to other research centres and types of imaging, from electron microscopy to in vivo imaging. How does it feel to work in a facility? It really varies, sometimes you have a big project that you need to focus on for a week, a month or longer but other times there are many different things that you have to do in a day. That’s one of the things I enjoy – it doesn’t get boring because there are a lot of different things you do. You also need to enjoy working with people. Since we have new types of imaging equipment that are not yet widely used, we need to work very closely with our users because there are very few people who’ll be able to prepare samples without our help. Having a flexible and service-oriented personality is very important – on top of the technical skills, of course! What advice do you have for young scientists thinking about their future? I think it’s key for anyone, but especially for scientists, to get out of their comfort zone and live abroad. To experience new work environments is important to grow professionally. I’ve worked in very international labs and institutes in Heidelberg, Edinburgh and Barcelona, which are three very nice cities to live in. That makes a difference to me. Have you ever failed in your career? I built my first microscope when I joined Ernst Stelzer’s lab at EMBL Heidelberg. It was a variation of a confocal microscope, and it was extremely difficult to align the thing. In the end, it only worked for a couple of weeks: that was extremely frustrating! It wasn’t until I took apart the microscope that I realised it didn’t work because there was a broken piece. That part breaking was an accident, but the fact I designed it the way I did – and had to take it apart completely to know what was wrong – is something I’ve learned to avoid.